Today is your lucky day; in this post, you get not one, but three St. Patrick's Day projects! Sorry, I know St. Patty's is just a couple days away, but I'm just barely getting to around to making these. But better late than never, I always say. So today, we are going to start out with this fun card I made using the Sesame Street Celebrations Cricut cartridge. It features all your favorite Sesame Street characters in designs that are great solutions for a variety of holidays. 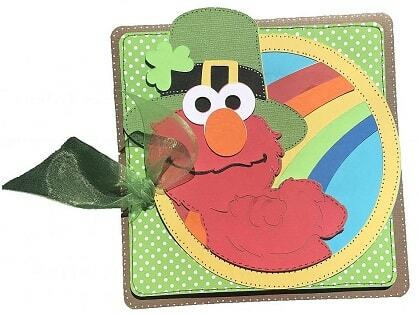 The card I chose features Elmo, my favorite Sesame Street character. This card ended up being 6" x 6" and Elmo was cut out at 6" with my Cricut Explore Air 2. The second card I made is one of Aaron's designs that we offered with our March 2017 downloads as part of our huge library of free .SVG Downloads. When I saw this card, I was immediately in love with it. I used my Silhouette CAMEO 3 to cut this card out at 4" x 6". It was just 3 easy cuts and I love the results! 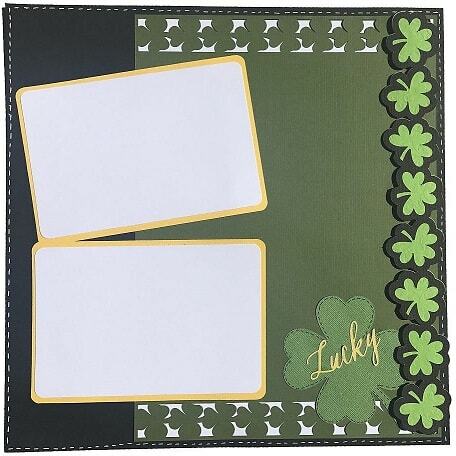 The last St. Patrick's Day craft I made today is a super easy scrapbook layout. Some layouts take hours, but to be honest, I'll reserve that kind of detail for bigger holidays. This layout only took about 45 minutes and I love the way it turned out. I made it using mostly the Family Albums Cricut cartridge, except I added my own twist. I used the Anna's Seasonal Soirees cartridge for the background image. I cut this element out at 11.50" x 8.22". The large clover was cut out at 3.75" and Lucky at 1.25". Last, but not least, I added two 4.25" x 6" photo slots. 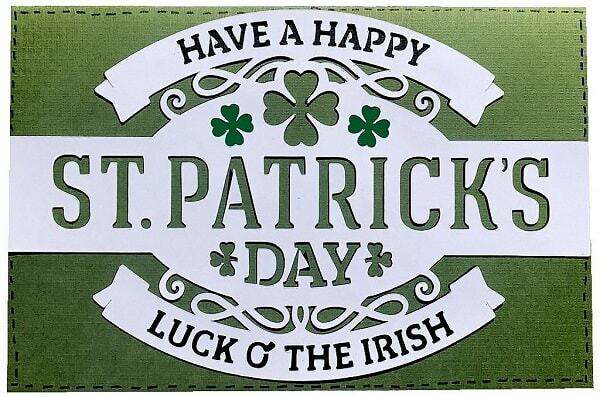 I would love to see your St. Patrick's Day Scrapbook pages and cards you have created, so please share them with me on Facebook! I can't wait to see what you have created! Before you leave, update your machine by buying a new Cricut blade and/or new Explore mat. Happy St. Patrick's Day and as always, happy creating!